A state wildlife official says recent testing hasn't turned up additional cases of chronic wasting disease after Michigan earlier confirmed its first case in a wild deer. MERIDIAN TOWNSHIP, Mich. (AP) — A state wildlife official says recent testing hasn't turned up additional cases of chronic wasting disease after Michigan earlier confirmed its first case in a wild deer. The Lansing State Journal reports Department of Natural Resources deer management biologist Chad Stewart gave the update Tuesday in Ingham County's Meridian Township. Stewart says around two dozen deer were killed during the first week of a targeted effort. Another 60 deer have been picked up from roadsides in a nine-township area where authorities are looking for evidence that chronic wasting disease has spread. Stewart says there's a ``long road ahead'' for testing. 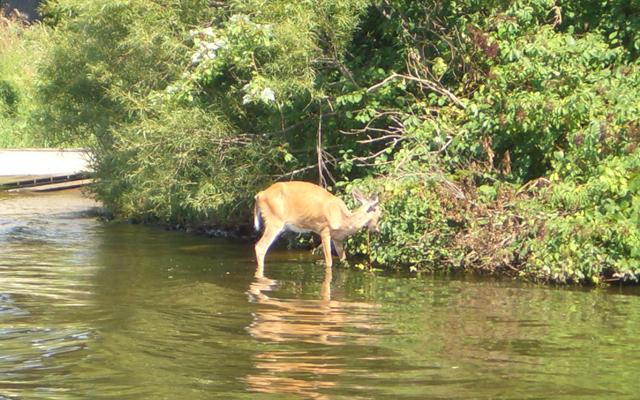 The DNR last month said a white-tailed female deer in Meridian Township tested positive for the contagious and fatal disease that attacks the brains of infected deer and elk.